You’re a successful online real estate marketer but you want that keen edge that allows you to overtake all your competitors and forge a recognizable brand name in your area market: That’s why you need the Best For Agents System Professional Package. By ensuring that you gain mastery over the most advanced SEO functions in the industry, your success in your field is assured. We check your code line by line to ensure that it is error free and will pass all of the latest HTML & CSS validations. Our Search Engine Optimization Reports include graphs to identify where you can implement SEO improvements. We analyse through Webmaster Tools to ensure that the visibility of your site and the efficacy of all links is maximized. We use Google Analytics to accurately evaluate your site's marketing effectiveness, and to improve your reach and impact. We submit your site's information to all the world's leading search engines to ensure that you obtain maximum visibility. We provide your site with regularly scheduled quarterly progress reports to evaluate your website effectiveness and progress over time. We submit your site's information to the major directories literally within hours to ensure that you get ample traffic quickly. We apply an SEO-savvy set of extensions to your articles to ensure that they can easily propagate through various net vectors. Why I need a Professional SEO Package? 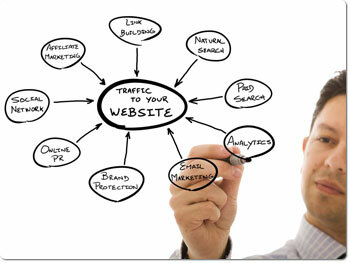 The Professional Package provides an elevated and well-developed standard of SEO functionality. By ensuring that you gain mastery over the most advanced SEO functions in the real estate industry, your online success is virtually assured.